Backed by deep and rich industry and research expertise, we offer the world’s widest range of Optical Emission Spectrometers and other analytical instruments. Our range covers both benchtop and mobile OES – apart from which we also offer analyzers for measuring Hydrogen in molten Aluminium. Our products are extensively used in all nature of industries including Steel Plants, Lead, Zinc and Copper industries, Automotive (including auto components and ancillaries) companies, casting units (including investment casting), foundries, rolling mills, educational and research institutes, commercial Labs and several more. We also offer the world’s widest range of applications, including analysis of thin foils, fine wires and even powders (direct). 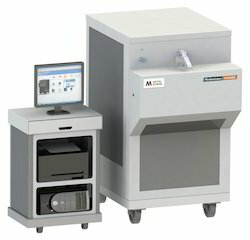 Designed to meet the highest and most stringent standards of performance, reliability, and repeatability, the Metavision X-Series, with its innovative multi-optics system, extended wavelength range and the plethora of analytical features, assures the entire gamut of analytical features and analyses of the widest range of elements right down to trace levels. 50+ elements; including low N, O, C etc. High-end Laboratories - Defence, Railways, pure research, etc. Using the patented D-Scan and M-Scan optics, the Metavision i-Series spectrometers deliver high resolution and low detection limits with high accuracy and repeatability making them the go-to solutions to nearly every commercial requirement in metals industries. Comprehensive diagnostic system including error detection, logging and reporting. Analysis of 40+ elements including N, P, Zn, Li etc. 1.Large Steel Plants - Where needs are at 1-10 PPM levels for elements like C, N, Cr, S, P etc. Very low LODs to control Pb, Cd, As etc. Research in the field of spectrometry has continually been focused on ever-lower detection limits and faster analysis time coupled with high precision and accuracy. At Metal Power, our R&D team focuses on these, while not losing sight of the need to deliver economic value across the product lifecycle. 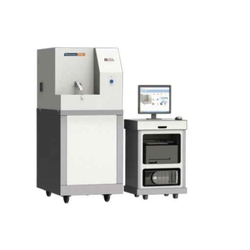 The Metavision-1008i, exemplifies all these endeavors, for offering rapid and highly precise and accurate analysis of an extremely wide range elements at very low levels of in ferrous and non-ferrous metals, while also offering exceptional economical value. 35+ elements; Includes Nitrogen analysis! Up to 99 .98% purity Pb, Zn, Cu etc. – all but the most stringent uses! While just about every metals company experiences the need to analyse incoming and / or outgoing materials, there remains a large number of – mainly – MSMEs that continue to rely on external laboratories to fulfil this need. 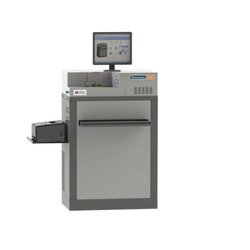 While aware of the benefits that spectrometers offer, the high capital and operating costs typically associated with spectrometers are the most common reasons which make them baulk at purchasing such useful instruments. The MOSS, which shares its DNA with the Metavision N-Series spectrometers has been custom-designed by Metal Power to address the needs of such users. 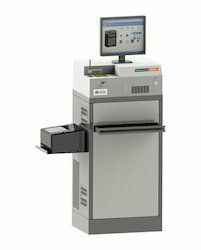 Sample clamping is automatic and the sample stand is open, allowing small and large samples to be mounted with ease. 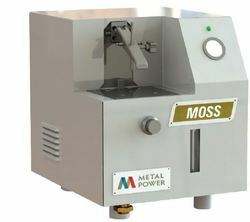 With high precision, accuracy and repeatability, the MOSS is a rugged and compact bench-top solution that meets all the critical quality assurance needs of fast-growing and quality-conscious MSMEs.